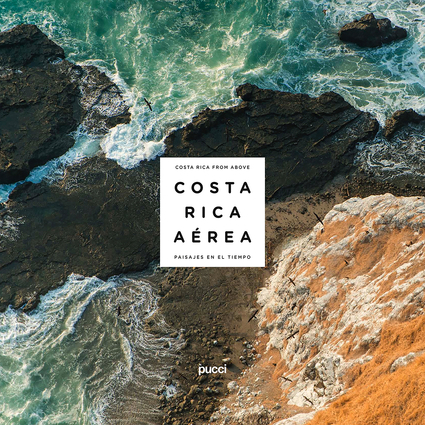 With more than 200 unpublished images, the second volume of Costa Rica from Above brilliantly reflects the transformation of a territory and its inhabitants, as well as the artistic evolution of two photographers whose workshop is the Costa Rican sky, making it a very different book from the first one. The visual work of brothers Giancarlo and Sergio Pucci is complemented by the text, written by Jaime Gamboa, to build a provocative artwork in which the face of one of the most biodiverse countries in the planet is unveiled, revealing its unbounded beauty and inviting us to look within. Sustainability We are proud to belong to the first batch of B corporations in the country. B stands for Beneficial to the planet and society. We are a growing, global movement of businesses dedicated to redefining the meaning of corporate success, using the strengths of the market to find solutions to social and environmental problems. B Corporations strive to be the best businesses FOR the world, not just IN the world. We are all capable of becoming agents of change. More than a photography display, this project seeks to help us reflect about what is truly important, and based on this reflection, start a process of constructive action to change our reality. This book was printed using paper that supports Responsible Forest Management certified by the Forest Stewardship Council (FSC). We support the Magical Trees Foundation, whose mission is to serve as a bridge that reconnects people to nature, through educational modules and reforestation projects: www.arbolesmagicos.com The photos in this book were produced over a total of 62 hours that generated 10 tons of CO2 and will be compensated by planting 200 native tree species. We are aware that offsetting carbon emissions is not a sustainable solution. As soon as clean alternatives exist that allow us to fly and meet the required conditions, we will be the first to "hop on board." Jaima Gamboa is a philologist and musician. For twelve years after graduating with a degree in Business from the Costa Rica University, Giancarlo Pucci worked in managerial positions in mass consumer markets and the tourism industry. His role as an executive was gaining considerable momentum when he realized he needed to stop. He was lacking a meaningful purpose. Giancarlo took time to reconnect and reimagine. He quit his job, packed his bags and flew to Sweden. As part of this journey he obtained a Masters in Strategic Leadership for Sustainability. This experience, with 60 people from 26 countries, had a profound effect on him. Since then he works intentionally to generate collaborative communities. In 2010 he founded his first social enterprise, Magical Trees, to reconnect people with nature. This organization has planted 16,000 native trees in biological corridors and, with its educational module, reached 3,500 public school kids all over his home country of Costa Rica. Magical Trees is part of a collaborative ecosystem of volunteers, private organizations and government agencies. In his TEDx talk "The colors of reconnection" he shares part of this vision. Giancarlo believes in the transformational power of photography. Together with his father and brother, he took the photos and published the book Magical Trees of Costa Rica, a best seller in that country. Recently Giancarlo took to the air again with his brother, and after dozens of hours of flight and photography, the pair showed the world a Costa Rica never before depicted: a diverse country, full of contrasts. The bestselling book Costa Rica From Above reveals the profund interconnectedness of many social and ecological elements. Recently, Giancarlo has taken on a growing role as a facilitator of groups for social innovation. Sergio Pucci studied Business, photography and graphic design. Has practiced photography for more than 20 years and has worked as a free lance photographer for the last 15 years. He has participated in 16 individual and collective photo exhibits, including at the World Museum in San Francisco, California. The Munich Theater, Germany. Natural History Museum in London, and the Geraadsbergen Museum, Bélgium. In 2014 one of his images was selected by one of the most prestigious photography contests in the world, BBC & London Natural History Museum "Wildlife Photographer of the Year Photo Contest." This image was part of the 2014 exhibition in the Natural History Museum in London and part of the book they publish along with the BBC with the winning images of the contest. He has won awards like the photographer of the year and photo of the year by the Costa Rican Photo Club and silver in lights of America from National Geographic Spanish. His images have been published in multiple media, including books, calendars, and magazines of international prestige, such as Christie's Great Estates, Robb Report Vacational Homes, Runner's World, Conde Nast, On Board Explore, ?and National Geographic Latin américa. Has published 6 books along with his dad and brother and has done the photography for 3 other books, for Municipalidad de San Jose, for The Nature Conservancy Costa Rica and The Nature Conservancy Guatemala.